A senator expects students to benefit from the free education in state universities and colleges (SUCs) and local universities and colleges (LUCs) beginning the second semester of school year 2017-18. “Napag-usapan sa bicam na it will be effective second semester ng school year 2017-2018 because by the time na ma-publish ito at maging batas, baka tapos na ang enrollment ng first semester,” said Sen. Bam Aquino, the principal sponsor and co-author of the Universal Access to Quality Tertiary Education Act in the Senate. “We’re hoping that by November or second semester, libre na ang tuition at iba pang bayarin sa ating SUCs,” the senator added. As one of its major salient points, the measure prohibits SUCs from collecting other fees from students, making tertiary education totally free for underprivileged students. “Kapag napirmahan na ito bilang batas, magiging state policy na libre na ang tertiary level education pagdating sa SUCs at LUCs natin,” said Sen. Bam, who defended the measure in plenary debates and interpellation during his stint as chairman of the Committee on Education. Sen. Bam was also the co-chairman of the Senate delegation to the bicameral conference committee, together with new Committee on Education chairman Sen. Francis Escudero. Other members of the Senate panel are Sens. Sherwin Gatchalian and Ralph Recto. If enacted into law, it will institutionalize free tuition and other fees in SUCs and LUCs all over the country, giving underprivileged students a chance to earn a college degree. It will also make scholarship grants available to students of both public and private college and universities. The final version of the measure has been ratified by the Senate on Tuesday. 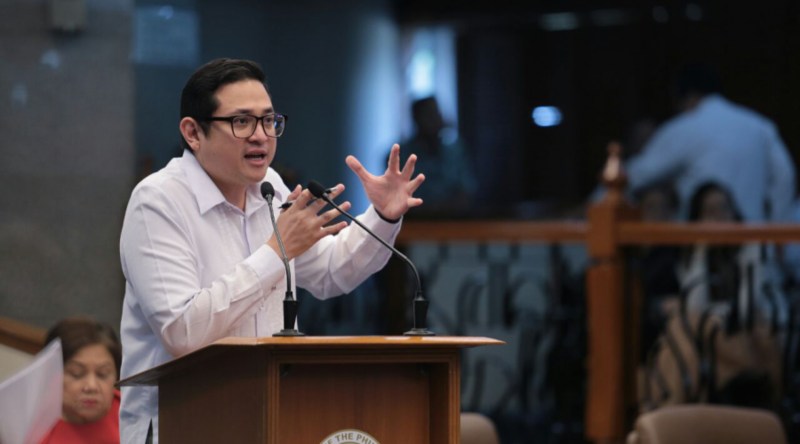 Sen. Bam Aquino insisted that convening a joint session is a duty of Congress and a means to promote welfare of the Filipino people by enlightening them about details behind the declaration of Martial Law in Mindanao. “It is part of our constitutional requirement and important for the public to be able to listen for themselves kung ano ang sasabihin ng security managers,” said Sen. Bam during Tuesday night’s discussion on the minority group’s Senate Resolution 390, which urges Congress to hold a joint session on the declaration of Martial Law in Mindanao. “During a joint session, iyong ibang pinag-usapan natin during an executive session, kung bakit nagdeklara ng Martial Law, kung ano ang plano at kung hanggang kailan ang hangganan, puwede iyong marinig ng taumbayan,” said Sen. Bam. 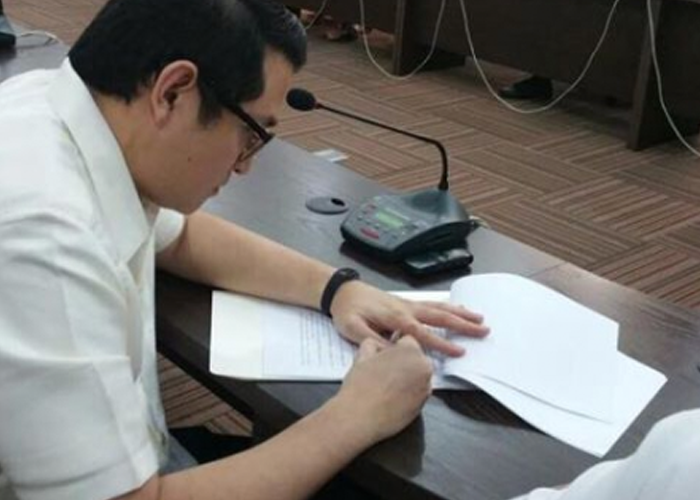 As representatives of the people, Sen. Bam said it is the duty of lawmakers to inform the public details of important issues affecting their lives and the country. “The people need to know what it is we also know as much as possible, without breaching any national security matter,” the senator said, adding that Congress must follow its constitutional mandate whatever the outcome of the vote. In an earlier interview, Sen. Bam emphasized that a joint session will give security managers a chance to enlighten the public about the situation and address misinformation and fake news circulating online at the same time. “The people are contradicting each other. Agencies are contradicting each other in terms of facts and in terms of what’s really happening. We need to hear it straight from the security managers,” Sen. Bam pointed out. Nine senators voted in favor of the resolution while 12 voted against it. Aside from Sen. Bam, those who voted in favor were Sens. Franklin Drilon, Chiz Escudero, Sherwin Gatchalian, Risa Hontiveros, Francis Pangilinan, Grace Poe, Ralph Recto and Antonio Trillanes. Those who voted against it were Senators Sonny Angara, Nancy Binay, JV Ejercito, Richard Gordon, Gregorio Honasan, Panfilo Lacson, Loren Legarda, Manny Pacquiao, Tito Sotto, Cynthia Villar, Juan Miguel Zubiri and Senate President Aquilino Pimentel III. A senator called on his fellow lawmakers to avoid shortcuts and follow the Constitution by calling a joint session to tackle the declaration of Martial Law in Mindanao. “Ang AFP, ayaw natin mag-shortcut, ang PNP ayaw nating mag-shortcut. 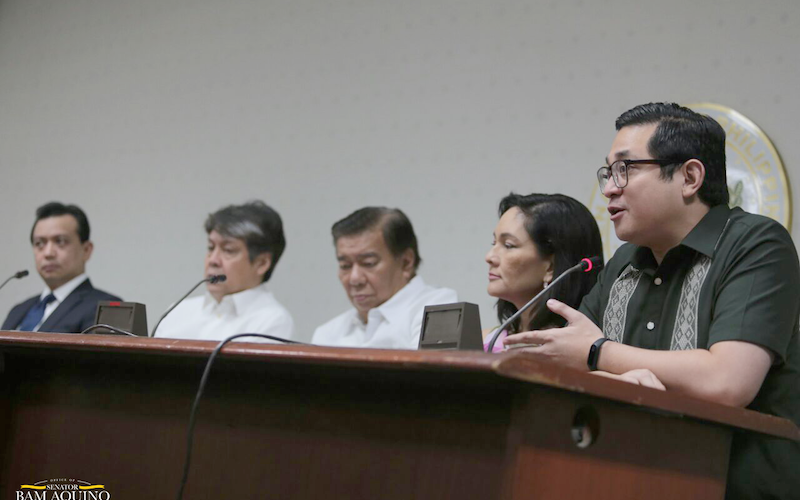 Bakit tayo mag-so-short cut?” said Sen. Bam Aquino during the minority bloc’s press conference discussing their resolution urging the Senate to call for a joint session. “Hindi tayo puwedeng mag-shortcut. Iyong mga shortcut, ito ang nagdudulot ng masasamang bagay sa bansa natin,” he added. Under the Constitution, Sen. Bam also stressed that Congress is mandated to call a joint session, based on the precedent during former president Gloria Arroyo’s declaration of Martial Law in Maguindanao in 2009. “A joint session is needed so that people can hear for themselves what the security managers were able to brief to us,” Sen. Bam said in an earlier television interview Tuesday. The senator said a joint session will give security managers a chance to enlighten the public about the situation and address misinformation and fake news circulating online at the same time. Sen. Bam said the security managers assured that normalcy in Marawi City will be restored in the next few days but it is crucial for the “people to hear that themselves”. During the briefing, Sen. Bam got the assurance from the Armed Forces of the Philippines (AFP) that it will uphold human rights while Mindanao is under Martial Law. Despite the AFP’s assurance, Sen. Bam underscored the need for vigilance against any abuse that might occur until normalcy returns to the area, which the AFP committed to achieve in the following days. Once the government quells the threats in Marawi, Sen. Bam said the government must lift Martial Law immediately and focus on restoring normalcy and developing in the area. We are happy to report some good news during these challenging times in our country. Our bill providing access to quality higher education has passed the Bicam process. This will make tuition and other fees in our SUCs free. It will provide billions of scholarships and loans to students in private higher education institutions. Pirma na lang ng Presidente ang kailangan para maging batas ang Universal Access to Quality Tertiary Education Act. Malaking panalo ito para sa mga estudyante at pamilyang Pilipino! I became a legislator primarily to spearhead reforms that help our countrymen reach their hopes and dreams, so I am very proud to have pushed for this major reform as the main sponsor and co-author in the Senate. We’d like to thank and congratulate all the legislators, stakeholders and supporters that contributed to this measure! Let’s give every Filipino access to quality education – from kinder to college. Bigyan po natin ng oportunidad ang ating mga kababayan na makamit ang kanilang pangarap. 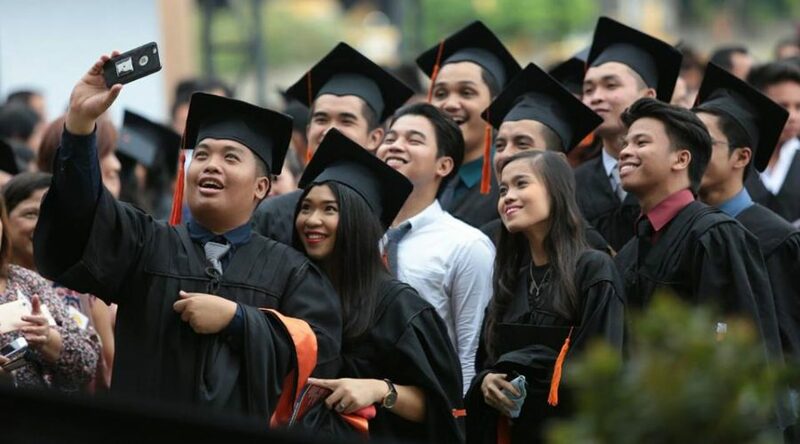 If enacted into law, the measure providing free education in state universities and colleges (SUCs) and local universities and colleges (LUCs) will be a major reform in the country’s education system, as it will open up tertiary level education to more Filipinos. “This is a huge reform for struggling students and their hard working parents. 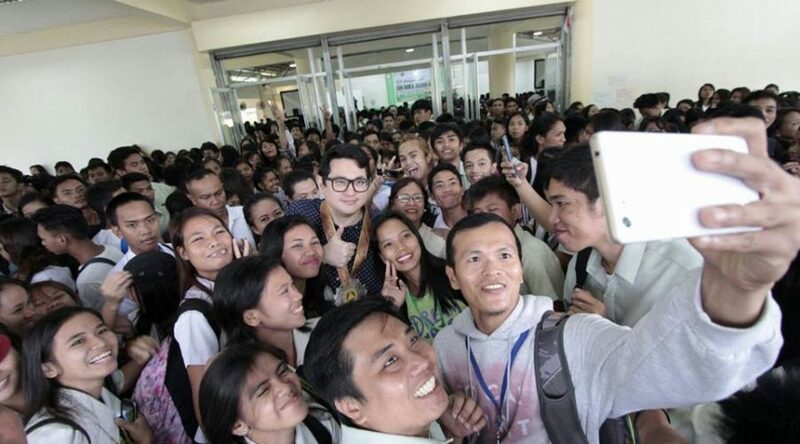 I became a legislator because I wanted to spearhead initiatives like this that can help our countrymen reach their hopes and dreams,” Sen. Bam Aquino, the principal sponsor and co-author of the measure, now known as the Universal Access to Quality Tertiary Education Act, in the Senate. 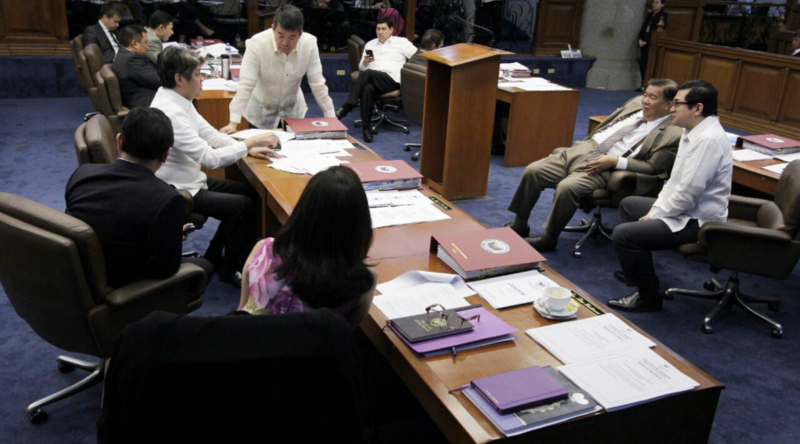 The bicameral conference committee approved the report Monday. Once it is ratified by both Houses, it will be transmitted to Malacanang for President Duterte’s approval. The measure, once passed into law, will complete the chain in the country’s educational institutions and give more Filipinos access to quality education. “Noong dekada otsensa lang naging libre ang high school sa Pilipinas. Thirty years later, magiging libre na rin ang tertiary o college sa SUCs at LUCs. 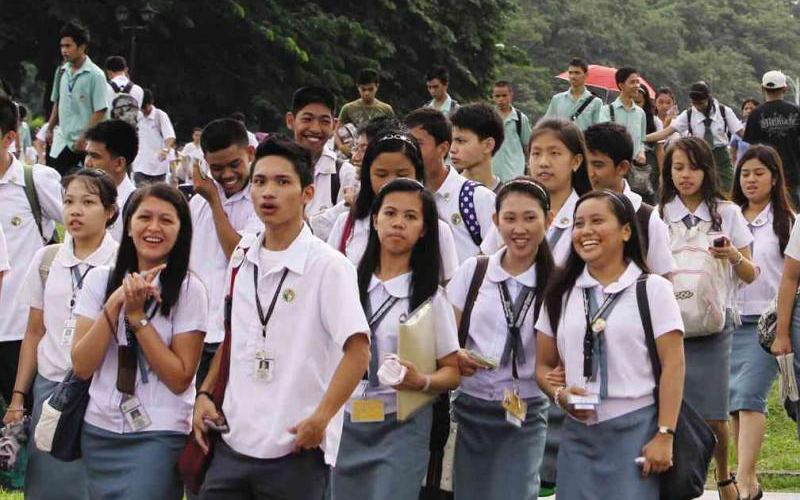 We’re really making educational institutions accessible to more Filipinos,” said Sen. Bam. Sen. Bam defended the measure in plenary debates and interpellation during his stint as chairman of the Committee on Education. He was also the co-chairman of the Senate delegation to the bicameral conference committee, together with new Committee on Education chairman Sen. Francis Escudero. Other members of the Senate panel are Sens. Sherwin Gatchalian and Ralph Recto. 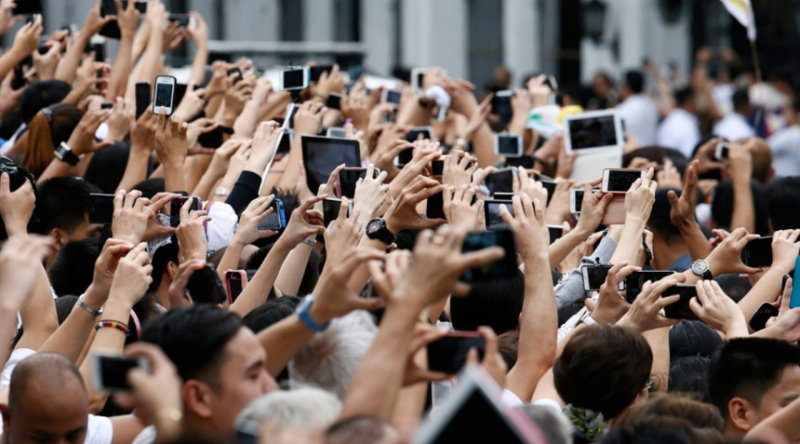 The measure providing Filipinos free internet access in public places is now one signature away from becoming a law after the Senate ratified its final version Wednesday, Sen. Bam Aquino announced. “Isang pirma na lang po at magiging batas na ito. This measure will empower Filipinos with internet access to education, information, jobs and business,” said Sen. Bam, the principal sponsor and co-author of the measure in the Senate in his capacity as chairman of the Committee on Science and Technology. “We hope that this can be a step towards improving internet services in the Philippines, which, of course has become a main point for many of our countrymen,” he added. The final version, which was also ratified by the House, will be submitted to Malacanang for President Duterte’s signature. If approved, this will be Sen. Bam’s 1st law in the 17th Congress and 18th in his four years as senator. Sen. Bam hopes that internet service will improve with the successful implementation of the free internet access in public places, together with parallel efforts such as the National Broadband Plan and the entry of new players in the telecommunications industry. “Let’s work together to achieve our goal of faster, cheaper, more reliable internet services for every Filipino,” said Sen. Bam. Sen. Bam thanked co-authors Sens. Francis Pangilinan, Manny Pacquiao and Sen. Ralph Recto, co-sponsors Sen. Grace Poe and Recto and members of the Senate panel in the bicameral conference committee, including Sens. JV Ejercito, Nancy Binay, Joel Villanueva and Recto for helping develop and strengthen the measure. The measure aims to provide internet access in all national and local government offices, public schools, public transport terminals, public hospitals and public libraries. Let’s put politics in the backburner and focus on ensuring the safety and welfare of civilians in Marawi City amid the conflict between government forces and Maute group. Sen. Bam Aquino made this call as he reiterated his support behind the military as it tries to quell the terrorist group and restore normalcy in the city. “Right now, ang pinakamahalaga po ngayon ay matigil na itong bakbakan, masugpo ang teroristang grupo at maprotektahan ang ating mga kababayan,” said Sen. Bam when asked about the declaration of Martial Law in Mindanao. Last week, Sen. Bam was in Marawi City to open the 508th Negosyo Center in the country and the first in the Autonomous Region in Muslim Mindanao (ARMM). “Everybody was so hopeful na ang pagtulak ng pagnenegosyo at trabaho, could really lead to peace. Kaya talagang heartbreaking itong nangyayarin ito,” said Sen. Bam. Sen. Bam said the military, businessmen and local government officials all agreed that strengthening business opportunities to our Muslim brothers will lead to peace. “Iyong mga kasama namin na militar, negosyante at local government officials, lahat nagsabi na ang pagtutulak ng mas magagandang trabaho at pagkakataong magnegosyo sa mga kapatid nating Muslim will eventually lead to peace,” said Sen. Bam. The Senate and House will hold a bicameral conference committee tomorrow (Wednesday) to reconcile their respective versions of the measure that will provide free tuition fee in state colleges and universities (SUCs). “We hope to finalize a version that will fulfill the intention of the measure to provide underprivileged students a chance to finish college and give them a better chance for a brighter future,” said Sen. Bam Aquino, principal sponsor and co-author of Senate Bill No. 1304. Once the bicameral conference approve the final version, it will be ratified by both Houses of Congress before transmitting to Malacanang for President Duterte’s signature. “Umaasa tayong maisasabatas ito sa lalong madaling panahon upang mapakinabangan na sa susunod na school year,” added Sen. Bam, who defended the measure in plenary debates and interpellation during his short stint as chairman of the Committee on Education. Sen. Bam will be the co-chairman of the Senate delegation to the bicameral conference committee, together with new Committee on Education chairman Sen. Francis Escudero. Other members of the Senate panel are Sens. Sherwin Gatchalian and Ralph Recto. The measure aims to institutionalize free tuition in SUCs all over the country, giving underprivileged students a chance to earn a college degree. “Sa pamamagitan nito, magkakaroon na ng katuparan ang hangaring mabigyan ng edukasyon ang lahat ng Pilipino,” said Sen. Bam.